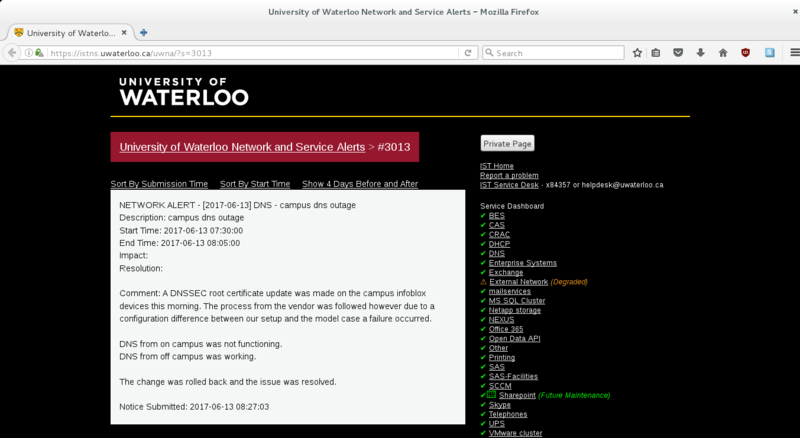 This page gives some details on the University of Waterloo Campus DNS DNSSEC outage on June 13, 2017. The University of Waterloo published this outage statement. A screenshot of the announcement is below. Click it to see an uncropped, higher resolution image. 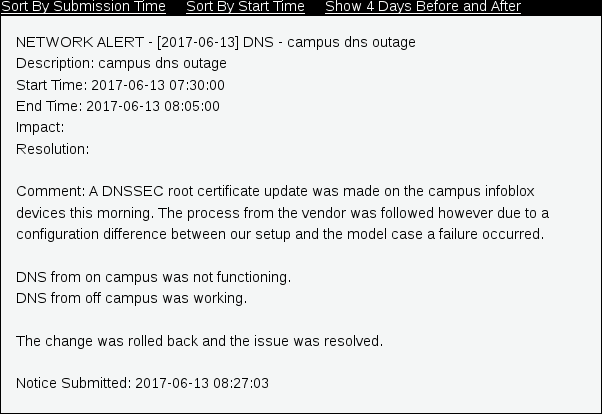 The university posted a Twitter notice, stating "campus dns outage - A DNSSEC root certificate update was made on the campus infoblox devices th... - https://istns.uwaterloo.ca/uwna/?s=3013."